Read the 2015 Literary Arts newsletter for articles on the relaunch of Portland Book Festival (formerly Wordstock), the Brian Booth Writers’ Fund, and the power of poetry and spoken word poetry. Read the 2014 Literary Arts newsletter for articles on the history of Literary Arts, writing workshops taught by Oregon Book Award authors, and the 2014 Everybody Reads event with Supreme Court Justice Sonia Sotomayor. 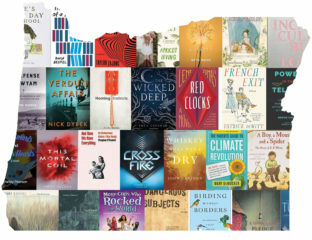 The Literary Arts spring 2013 newsletter includes the articles “Oregon Book Award Winner Tours State” about the roll of art in the lives of Oregonians; “Jonathan Franzen Connects with Local College Students”; “Inclusive Approach to Book Culture @LiteraryArts”; and “Discovering the Passion of Rhythm and Poetry” about Writers in the Schools, as well as a 2012/2013 snapshot of organizational accomplishments, and a list of our many donors, supporters, and event sponsors. 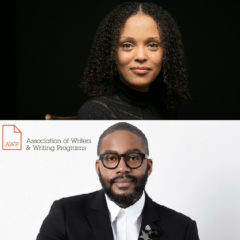 The Literary Arts fall 2012 newsletter includes the articles “Literary Life Beyond the Classroom” about the expanding roll of WITS; “The Delve Experience” about Delve Readers’ Seminars; and “Programming Begins @LiteraryArts” about new events at our center. In addition, it includes a 2012/13 events calender, and list of our many supporters and event sponsors. The Literary Arts spring 2012 newsletter includes the articles “Literary Arts Pairs with PNCA for Inaugural Graphic Lit Prize,” “The Meaning of an Oregon Literary Fellowship,” as well as information on the Oregon Book Award Author Tour and the first-ever Verslandia all-high school poetry slam competition, capped by an Emily Kendal Frey poem.